Over the years â€œdesignâ€ has become ever more popular and is slowly getting into an every manâ€™s vocabulary. But till date â€œdesignâ€ equates to a mere decorative process and often thought as the final steps in delivering the offering. Successful businesses across the world have demystified this cliched thought about design and have harnessed the power that Design holds. These are the companies that have taken the innovative leaps and have become business leaders in their domains. Design is like that magic potion which has all the ingredients to create success. It starts with a deep research into the context and the subject, it is only from understanding the problem well that a designer is able to create a solution which is perfect! Designers also have an invaluable quality to empathies with the user of their creation. With their unique tools of understanding the user, it becomes possible for them to design that offering which gets welcomed by the user and the market. Designers also have holistic views and are good at cross-connecting and thinking freely, this gives them the necessary canvas to imagine and innovate. 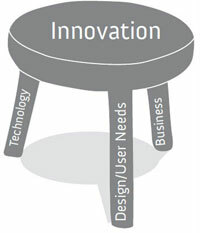 Bringing out this innovation requires a synergy between the Business functions, Design and Technology. Design which was traditionally restricted to the fields like graphic, product, industrial, fashion, interior, architecture etc. is expanding and percolating more into the Business functions. Design principles are being applied to things like finance, operations, marketing and processes. From a Business of Design designers are progressing to Designing Businesses. With itâ€™s inherent quality of creating something new, design is all about innovation. Using the tools of design, businesses can adopt a usercentric approach. Design brings understanding of the emotions and logic of the user. When the experience of the user is kept in consideration, chances of failure almost disappear. Money is something that gives you power to get something you want when you give it away. After discussions we realized that money is just commodities in exchange. Money is worthless unless it exchanges hands, unless it flows. 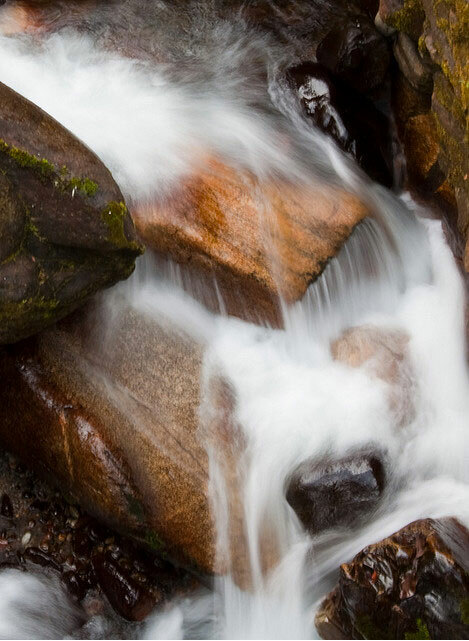 Just like the flow of money is critical to the functioning of money, so is water essential to our existence. Therefore we took the metaphor of water to explain our view on money. Just like water changes forms, so does money. Ice is like gold, realty, etc., liquid is like cash and gas is like credit cards, stock and virtual money. Just like water, there is an unequal distribution of money around the world. Very few have access to it and most of it is saturated in the hands of a few. Like the glaciers are the largest source of fresh water (68%), the same way the rich of today are the glaciers of money, holding it with themselves and not letting it flow. There is a scarcity of water and just like water, money is not valued properly. We cannot do without either money or water. Also when water stagnates and there is no flow or movement, it becomes infected and unfit for use. Various insects start breeding and the water becomes dirty. Similarly, without flow money becomes useless. It is only a few pieces of paper, after all, to which we assign value.